Come and learn about the various projects and issues re: Jamaica Bay from city, state and federal agencies. Meet at the Jamaica Bay Wildlife Refuge visitor center. The Jamaica Bay Wildlife Refuge is the United States Department of Interior’s only “wildlife refuge” administered by the National Park Service. All other national refuges fall under the aegis of the United States Fish & Wildlife Service. 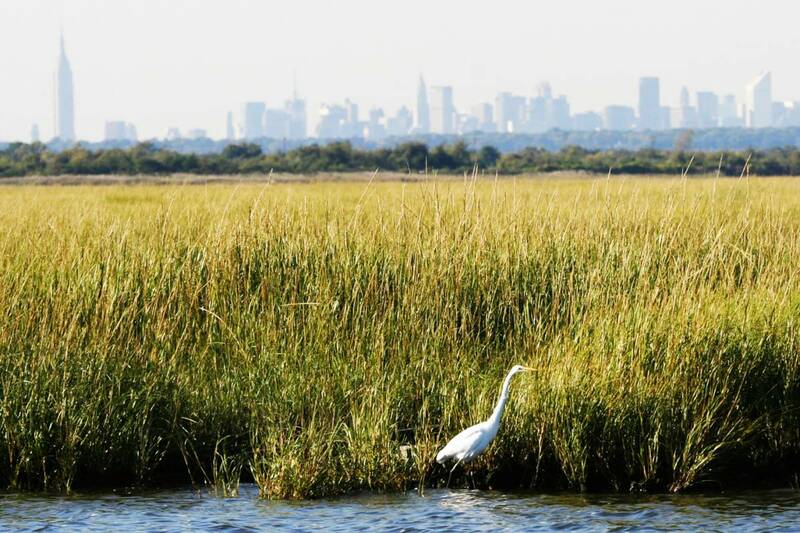 The Jamaica Bay Wildlife Refuge covers 9,000 acres (20 square miles) of open bay, saltmarsh, mudflats, upland field and woods, two man-made brackish ponds—117-acre “East Pond” and 45-acre “West Pond” and small fresh water ponds, including Big John’s Pond. The Wildlife Refuge is part of the Gateway National Recreation Area. It is vital that we continue to protect and cherish this valuable natural resource.